Arrive into Denpasar - the capital of one of the most exotic destinations in the world. Upon arrival at the airport, complete your immigration formalities. Outside the arrival hall, you will be met by our local representative who will welcome you and take you to your hotel. (Check-In time is after 3.00pm). Overnight at the hotel in Bali. tour to The Mount & Lake Batur in Kintamani village for some stunning views of the beautiful locals in this region. Our tour ends in the famous Ubud Market. Here you can look out for the various shopping options. Today the morning is free for you to relax at your hotel. In the evening, we take you for Tanah Lot Temple which is located on the coastal side of Beraban countryside. The temple is built atop a rock & reachable by walk from the coastal tip. 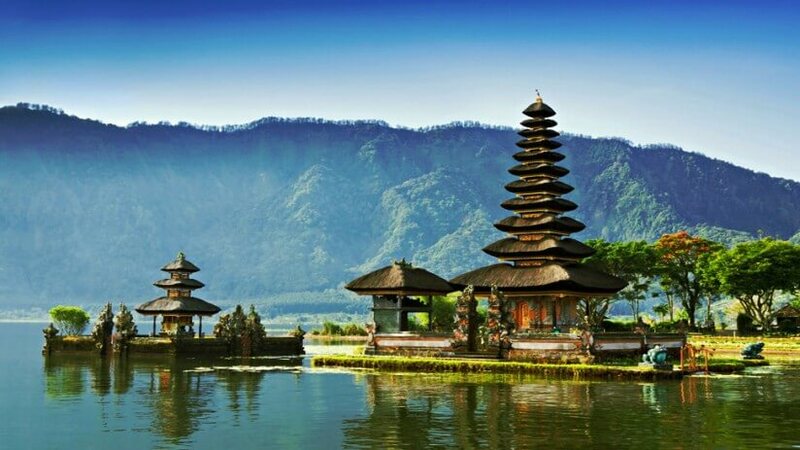 This temple is one of the most famous tourist destinations in Bali & the most photographed spot. At some nooks of the coral reef around Tanah Lot Temple there are holy tame snakes in black and white color which according to the locals are a deity property and they act as guards of the temple from bad influence. We return back to the hotel. Overnight at the Hotel in Bali. 825 feet high facing the vast deep blue Indian Ocean which also offers a wonderful view of the sunset. o	Cost of your round trip economy class air transportation. o	Cost of Overseas Travel Insurance policy valid for the tour. o	(Passengers above 60 years of age will have to pay the actual difference of the insurance premium).